For almost 60 years, Gerald Jones Company has been providing home improvement services to homeowners in Durham, NC and across the Triangle. We’re known for getting each job done on time and in a professional way. When you need home improvement work done, our qualified staff will meet with you to discuss your project and offer our advice. 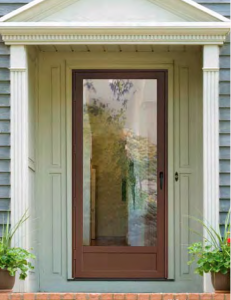 Our free, no-obligation estimates will allow you to look at different options of windows, doors, sidings, awnings or whatever materials you need so you can choose the ones that fit your style and budget — helping you to beautify your home the way you want. Our home improvement services might even save you money on taxes by making your home more energy efficient! At Gerald Jones, our experienced staff can help you out with a wide range of custom home improvement projects in Durham. Energy-efficient windows, new siding, carports — we can do it all! If you live in Durham and want to improve the curb appeal and functionality of your home, rely on the skilled, friendly staff at Gerald Jones Company. Our family-owned and operated home improvement business works hard to make sure that projects are installed with the utmost attention to detail so you get the results you want. For more information about our Durham, NC home improvement contracting services, contact us today and set up a free, in-home estimate. Gerald Jones Company provides expert, reliable home improvement contracting services in Durham, NC and surrounding areas, including Hillsborough, Chapel Hill, Mebane, Roxboro, Creedmoor, Morrisville, Cary and beyond.